Our latest collaboration with bespoke wine brand, Graffigna takes inspiration from our for creator’s mood-based content. Ultimately, a rustic image will always beckon an authentic finish; this was the symbolic message behind the Graffigna brief to our creators. 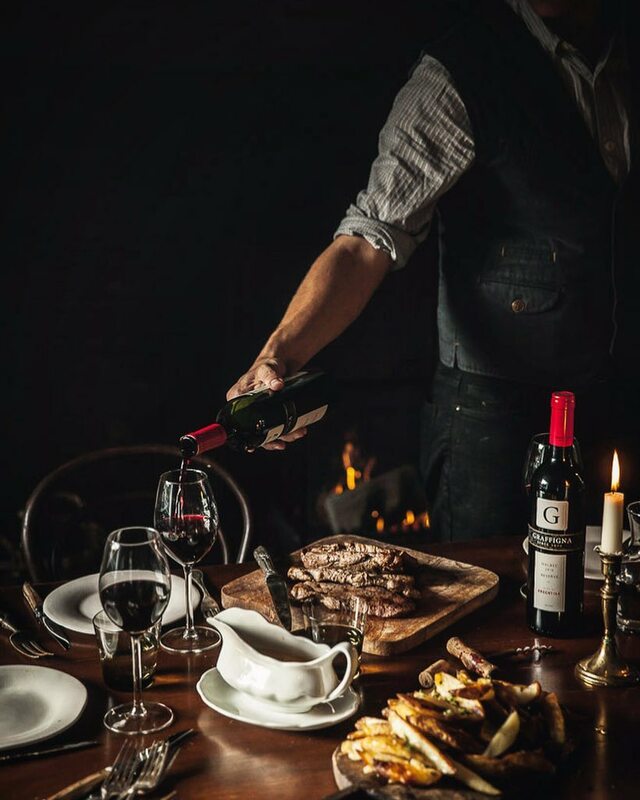 Utilising the unmanufactured nature of an Argentinian Asado as a creative springboard, our influencers were tasked with creating an image that goes hand in hand with the full bodied nature of a truly dynamic Malbec. ...the hashtag, #AlwaysBold umbrellas the content throughout this campaign. However, with a focus away from the individual - to intimate scenes - dynamic results were provoked from our creative pool of influencers. This was perhaps the formula that lead to the campaign’s success - personified through an undeniably satisfying aesthetic. Speaking to influencers such as Marte Marie Forsberg (@marte_marie _forsberg), she notably experienced a strong response from Graffigna’s creative direction found within their moodboard. Drawing from the intensity of colour and tone Marie consistently curates within her work, Graffigna’s brief presented a further opportunity to organically demonstrate the now high standard of our artistic community. Speaking to Marie, it is clear she echoes the passion of her images within the purposefulness of her words – as well as the importance of her environment when locating creative inspiration. Your content perfectly embodied the rustic tones of this collaboration. What was your main source of inspiration behind the capturing of that pure moment? The client had a very clear direction of the content they were looking for, and had created a beautiful mood board that I used as my main source of inspiration. Its was great fun finding a way to work with the visual guidance from the client and try to create an image that fulfilled their visual requirements and that would also have my voice in it. I’m thrilled the content worked that well for the client. What would you say is the crucial ingredient to maintaining authentic, natural looking content? I think it’s important to always stay true to your own unique voice in creating work for clients. They chose to work with you for a reason, so I try to trust that, use their guidelines, keywords and mood boards as my main inspiration, and then finding a way to make it my own. To trust your style and voice. From a photography point of view; what are the key differences between capturing English, in contrast to Norwegian, environments? I would say the Norwegian environment is more on the minimalistic side with stronger lines and softer and more pale colour palette, whereas the English, specifically the countryside has more earthy tones of greens, blues and cream with rustic notes and softer lines. This even applies to the landscapes. I remember thinking to myself when I first arrived in England that the trees here were so much more interesting, with curvy and twisted branches as apposed to the trees in Norway that are straight with the same bend to their branches. I’m very much inspired by the English countryside in my work. 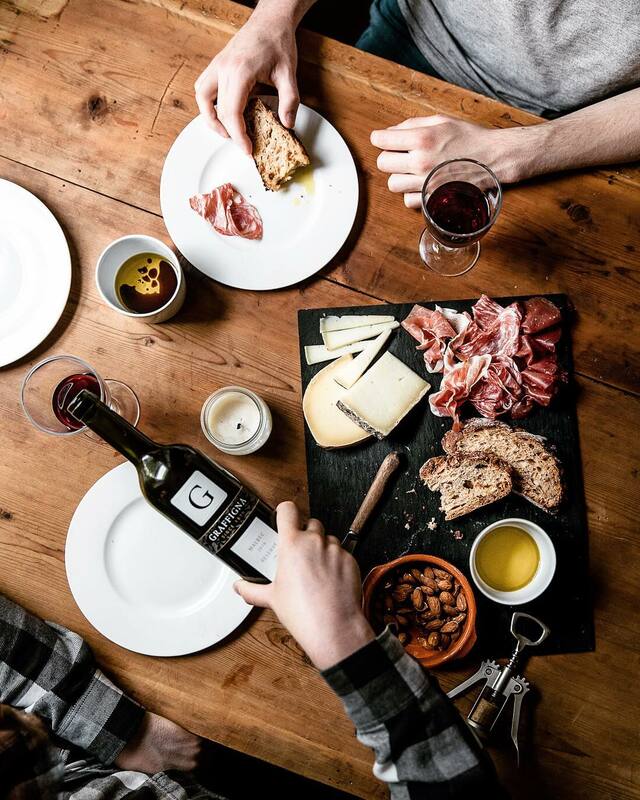 For the essence of Graffigna’s moodboard, their more recent posts from their handle, @graffignawine, represents a guiding hand for this campaign. Their curated image undoubtedly reflects their brief’s ambitions. This aspiration lies within the promotion of creative connectors who never tire of new experiences – the community of Whalar creators are integral to this. Some of the best content is immersed within table pieces. After contacting further influencers involved within the collaboration - such as @twiggstudios - Aimee enforces the importance behind correctly showcasing these subjects. Aimee further highlights the importance of story-based content, which fits seamlessly within Graffigna’s progressive image. An image may be static in appearance, but it does not have to be so in its identity. When creating an organic table piece, what is the first thing that comes to mind when you start to layout the image. In this case I wanted the bottle to be the main focus and make it seem like it was naturally placed so I set it up to look like we were having dinner. The first thing that comes to mind when setting up for an image is to help it tell a story so I used an old table top to make everything else stand out. This brief was relatively open - how do you think brands can work best alongside creators so they can produce their best work? I think that an open brief is really great as it gives people the chance to be creative. I think that giving main points like the wine and the idea of a steak was really helpful. Giving a brief that is easy like it was in this case which was show the wine label in a natural setting and serve with steak and a few photos for inspiration is a great way to help creators. Any advice for any other creators hoping to produce authentic, yet rustic, food and drink based content? •Make the most of the light, natural light works great for food. •Use natural props that don’t take away from the product. •Try and tell a story with your photos. •Don’t make it look to staged, a natural set up works really well for storytelling, in this case I wanted it to look like we were sat at a table having dinner at home. 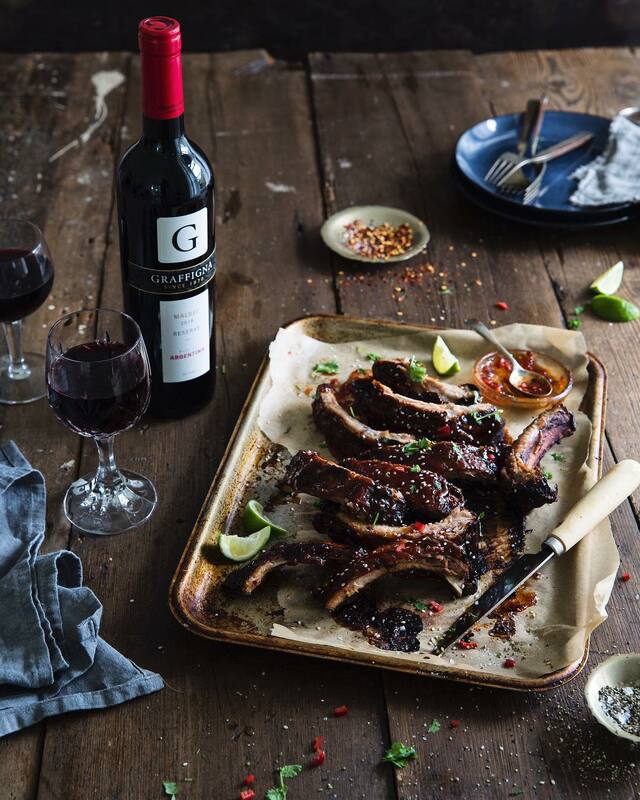 One such influencer involved was, @catherine_frawley, M&S Food Portraiture Shortlist of 2018. Catherine's feed represents a portfolio of aesthetic opulence, but still grounded in the everyday experience. After a professional response that perfectly showcased the rusticity of Graffigna’s preferred mood board, she further provided us with the insights that take place behind the lens – as well as sources of inspiration and audience interaction. As a whole, the content you produce is definitely varied and always high in quality. What drives you to switch between diverse subject matters? The subject matters may seem diverse but they usually have a thread that is very relatable to me and are things I can genuinely and authentically photograph and talk about online with my audience. I also want to create content that is unique for that campaign which is a challenge I enjoy. Can you put your finger on what key component makes for a successful table image? A successful table scene, needs to look effortless, like everything was just brought to the table, set down and left. Or you just caught it half way through as if it was actually happening. The reality is that effortlessness and the aim for it to look ever so natural, requires some time and tweaking but my aim is to make the scene inviting and real so the viewer wants to jump in and grab a seat at the table. Are there any others creators/movements that inspire you? And how do you get your work to stand out? How do I get my work to stand out? Goodness, I don't know.... I just try to share only (what I think) is my best work. I hope that quality comes through. Although I feel I have a style and my work looks like mine, I've never been good at sticking to a niche which would please IG like only white backgrounds, or only flowers. I have set myself boundaries, I generally only share, food, travel and lifestyle images but that means I have freedom from constraint and from repeating the same image over and over. Hopefully that makes things interesting for those viewing my images. 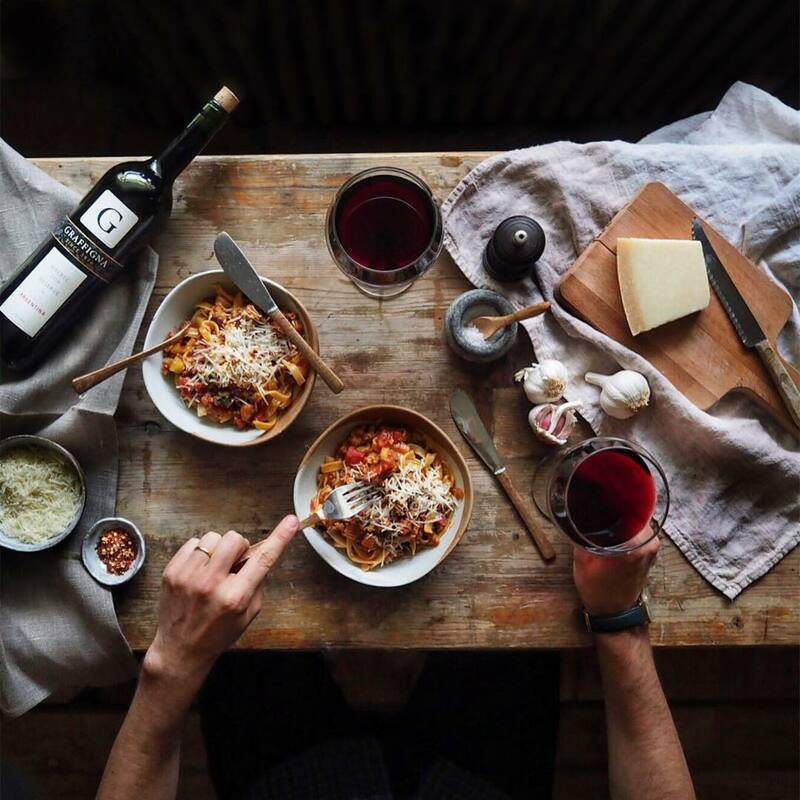 Similar to our previous creators, Kym Grimshaw combines a love of food and drinks blogging with beautifully crisp style of photography. 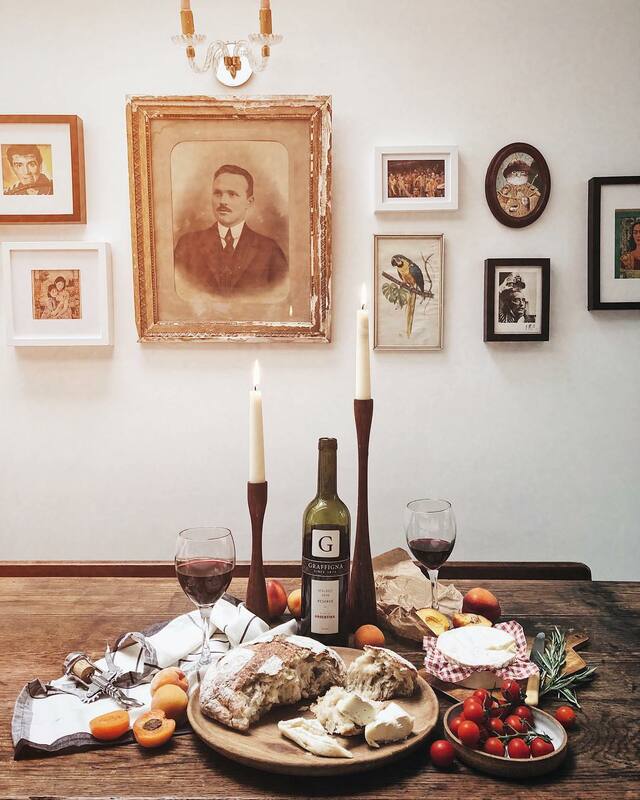 Her feed (@kymgrimshaw) evokes variety and experience; a perfect distilment of this campaign. In consequence, after contacting Kym for her thought’s on Graffigna’s image, she too reflects on the importance of avoiding complacency. This is true both within creativity, and in life further afield. To never be satisfied with the familiar, and to always be seeking new and fresh experiences. How did you first get into food / drink blogging? I couldn't stop talking or thinking about food. Always reading cookbooks, tearing out recipes in magazines and eating out in restaurants with any spare bit of money I had. Everyone around me kept suggesting I should start a food blog and so I did! When working with brands such as Graffigna, what can they do to best inspire creators? A visual mood board helps to make sure you're on the same page but I think creative freedom to be able to take content in the direction specific to each individual creative too, those are always the most inspiring collaborations. We love the authentic look of your work, not just for this campaign, but also generally - with high quality content on the rise, how do you get yours to stand out? Thank you! I just keep on pushing to do better, never stay complacent with the kind of work I'm putting out. I do get bored easily so I feel like I'm constantly trying new things! I like to find inspiration outside of Instagram too. 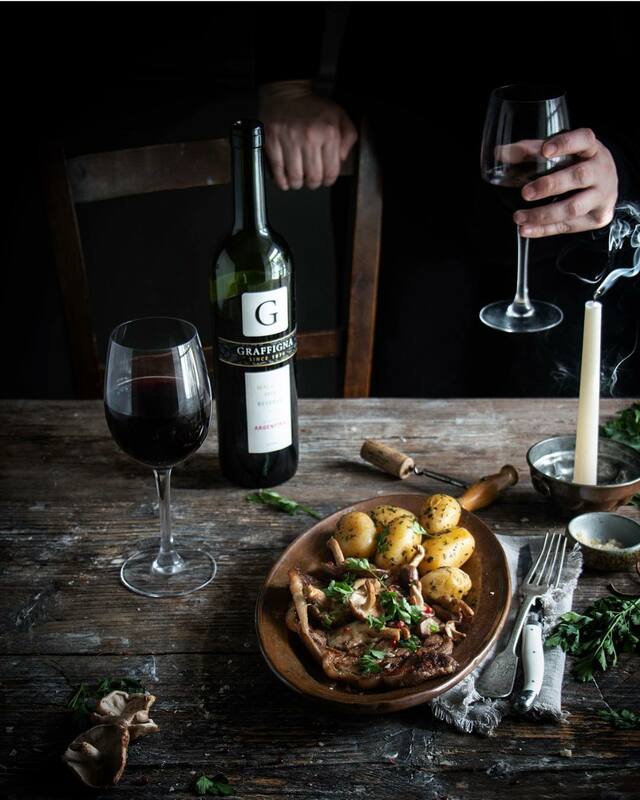 By tailoring the campaign to the voice of the creator; Graffigna’s distinct, yet open mood board, allowed the full bodied nature of its excellent Argentinian Malbec to flourish. 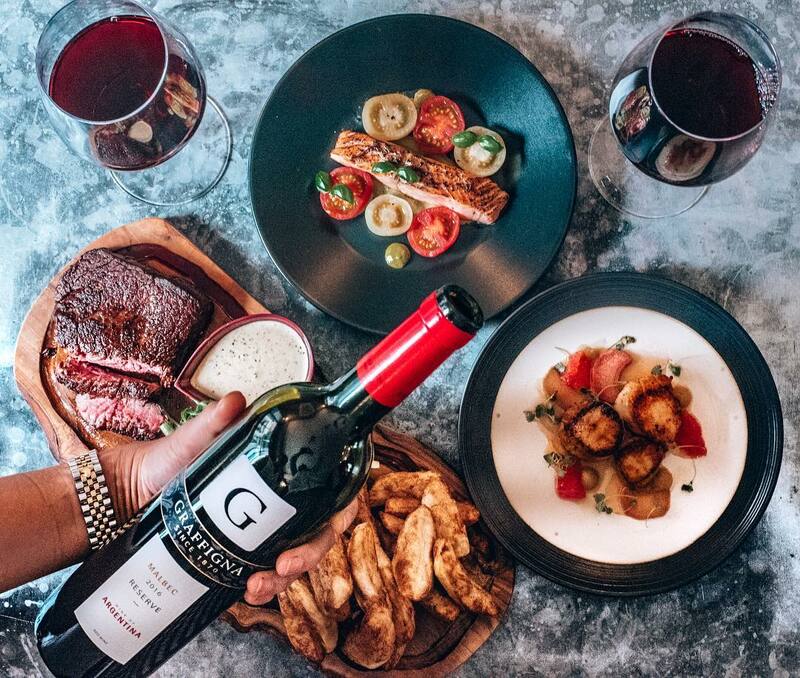 The content created gave the collaboration its heart, not just by pairing the wine with rich and comforting food, but also in the beauty of the imperfect and unrehearsed. It is that element of authentic experience, combined with the genuine world-class photography Whalar are able to source on Graffigna’s behalf that made for such a compelling collaboration. Its success can of course be pinned to a strong and clear mood-board that many of our influencers have mentioned, however what undoubtedly shines through is the rich pool of talent that is currently pulsating through this creative scene. A scene that Whalar is delighted to keep maintaining and facilitating. With so much content to choose from, what stood out for you? And who’s feed best transports and inspires you? Let us know via our socials!